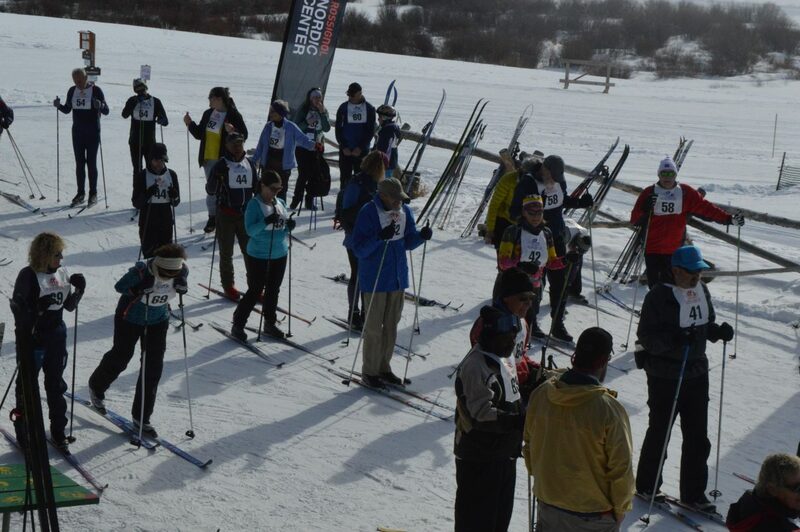 Skiers and guides wait in line to start the 10 kilometer race. One pair returns from a practice run before the start of the 10 kilometer race. 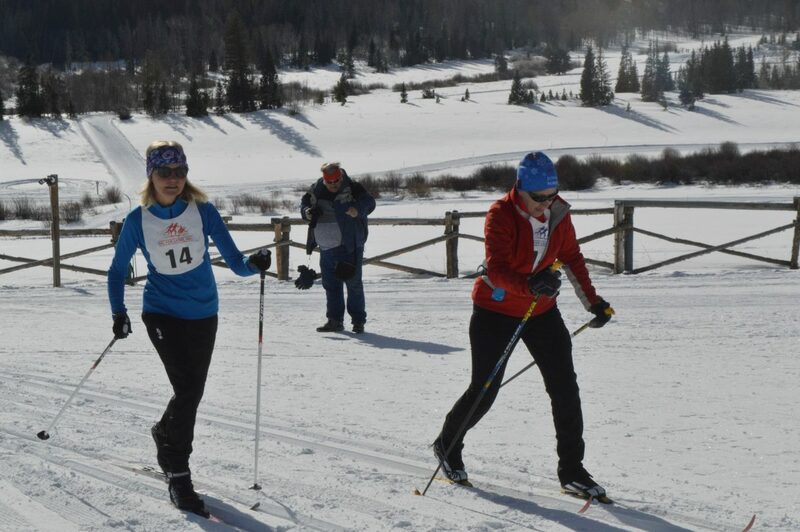 A skier and guide race on Saturday morning. Skiers wait in line to get to the starting line for the 10 kilometer race Saturday morning. Ski for Light publicity and public relations chair Melinda Hollands and her guide race in the 10 kilometer finale on Saturday morning. 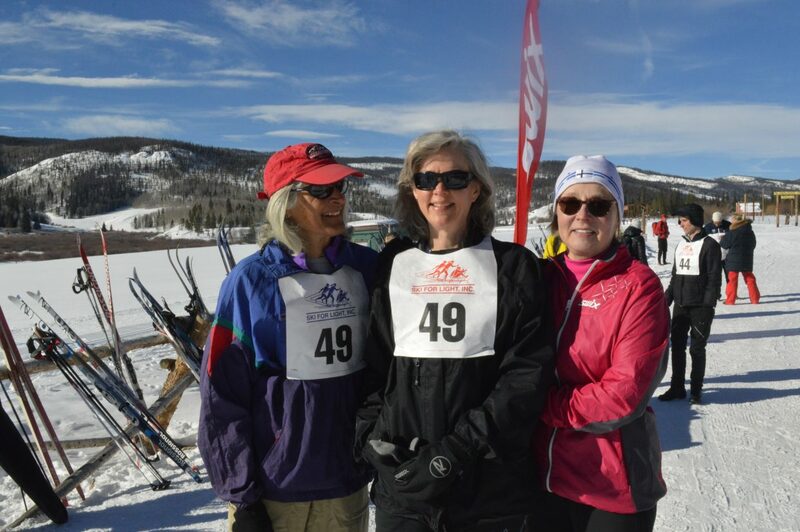 Bonnie Veegiard (center), of Houston, is flanked by her two guides Betsy Thomason (left), of West Townshen, Vermont, and Marita Johanson, of West Lebanon, New Hampshire. 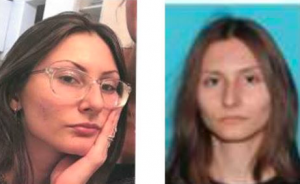 This is Veegiard's second year participating in Ski for Light and she said she has enjoyed her experience in Granby because of the great snow. 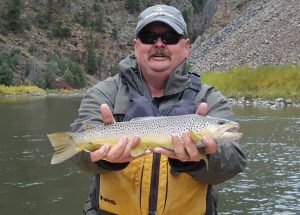 Thomason and Johanson have been guides on and off for around seven years. 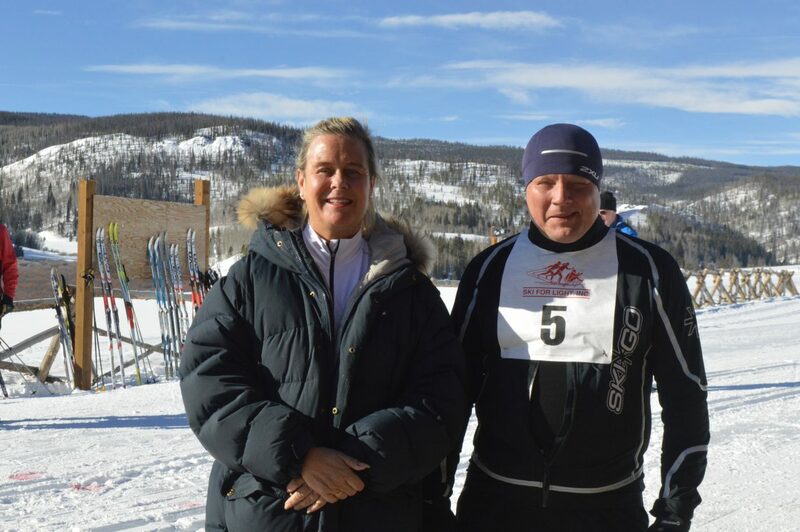 Heidi Lill (left), deputy chairman of the Ridderrennet, and Morten Tollefsen, Paralympian. It was Lill's first time at the Ski for Light event and she said she and Tollefsen had received a warm welcome and she enjoyed her time in Granby. 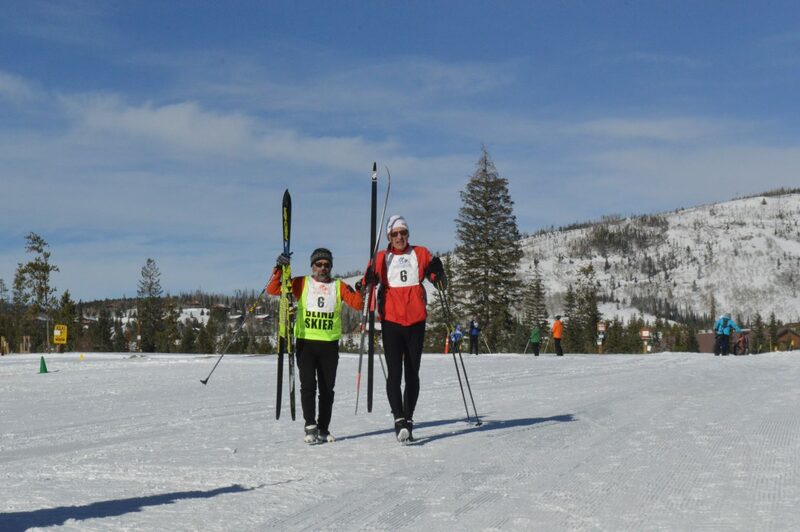 The first skier and guide pair prepare to kick off the 10 kilometer race. 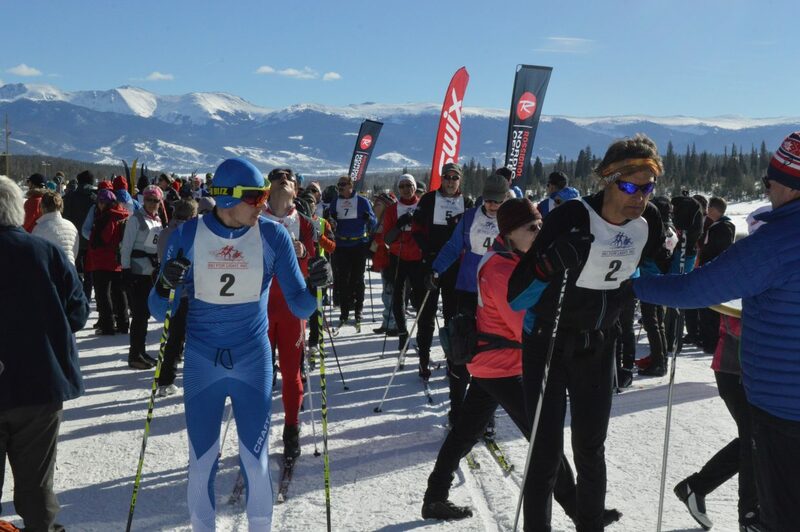 The skiers estimated how quickly they felt they could do the 10 kilometer race and were arranged from fastest to slowest with 15 second interval starts. 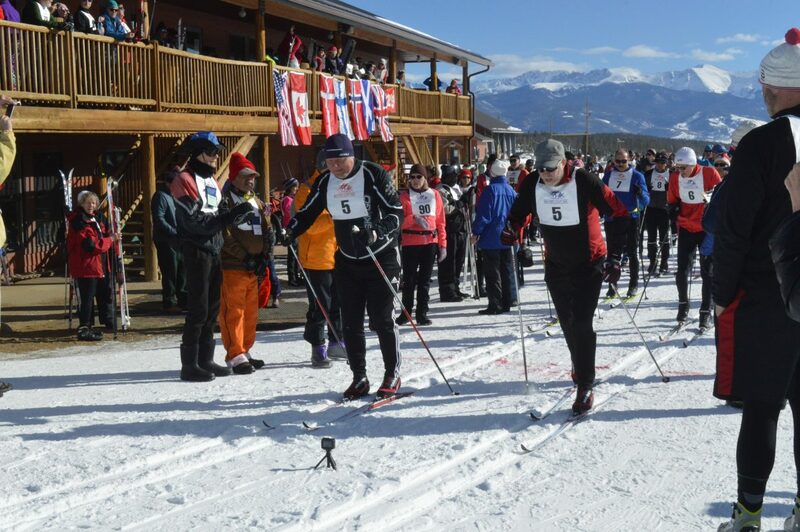 Ski for Light is an international event and this year saw participants from seven countries. 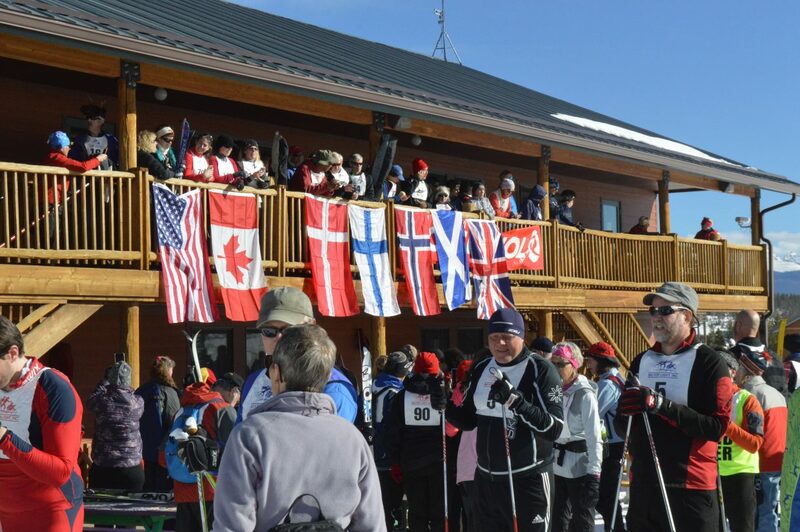 All of the countries represented had their flags hung and national anthems played before the finale race. Morten Tollefsen (left), a Paralympian from Norway, competes in the 10 kilometer race with his guide. 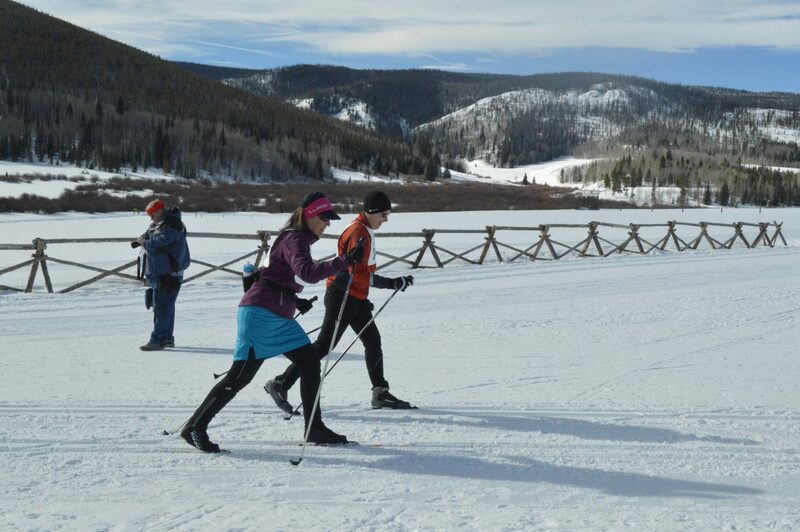 Ski for Light, a non-profit organization dedicated to teaching and supporting cross country skiers with visual and mobility impairments, hosted its annual week-long cross country event at Snow Mountain Ranch from Jan. 27 to Feb. 3. 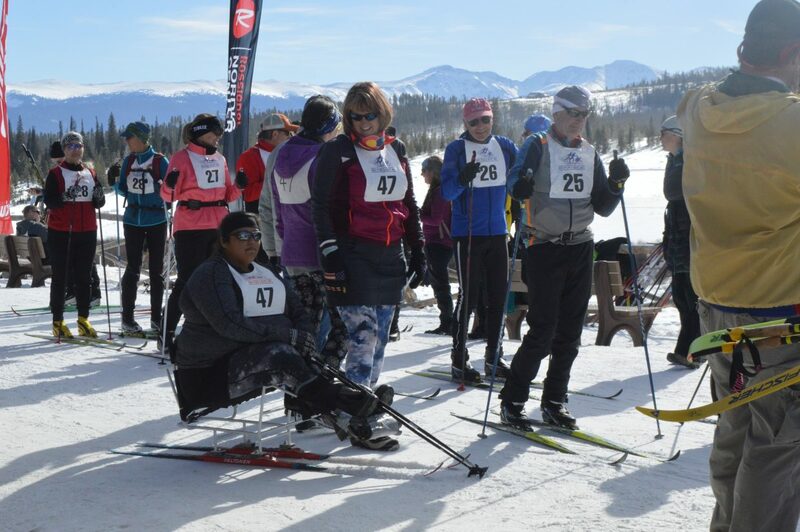 The event pairs skiers from around the world with sighted guides to explore the 90 kilometers of trails at the ranch. 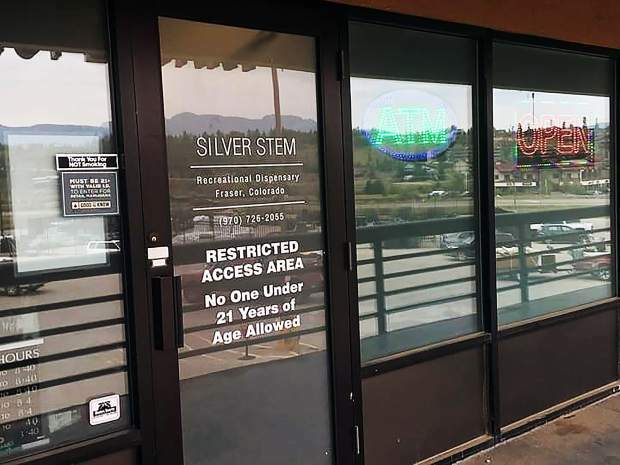 This year, 273 people, including 117 differently-abled skiers and 133 guides, signed up to participate in the week-long event, which consists of ski classes, trivia nights, dances and celebrations, special interest sessions and, of course, plenty of time for skiing. Ultimately, the week culminates in a 10 kilometer race and a five kilometer rally. 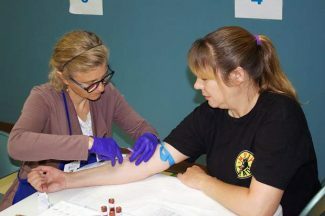 “The motto is making the impossible possible,” said Melinda Hollands, the event’s publicity and public relations chair.